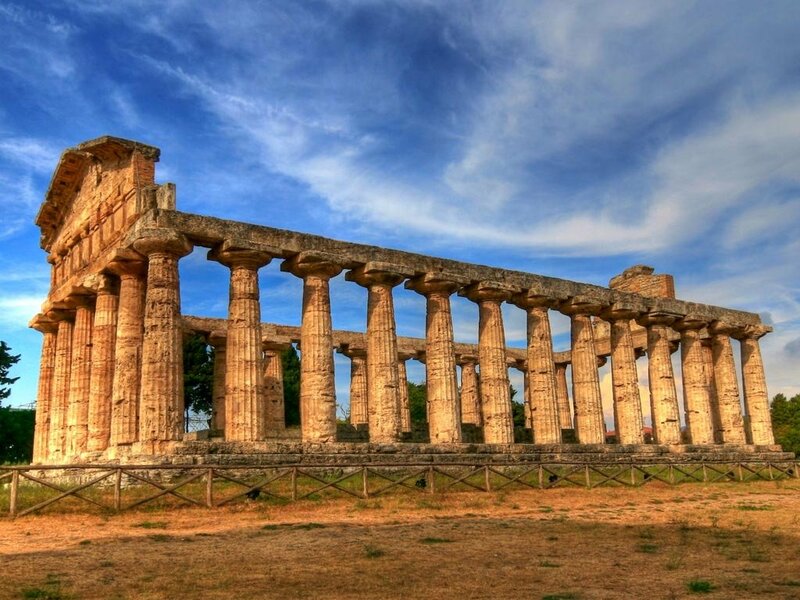 Founded by the Greeks around 600 BCE, Paestum was a major ancient Greek city on the coast of the Tyrrhenian Sea in Magna Graecia. 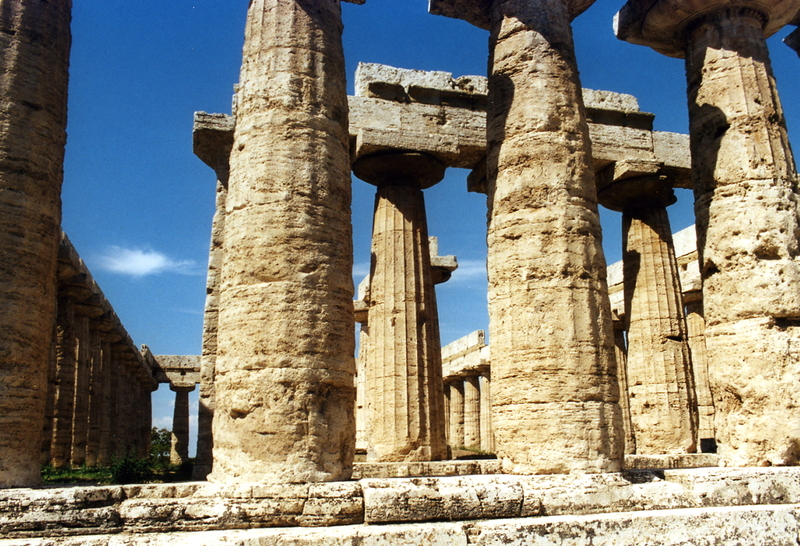 The archaeological site of Paestum, a UNESCO World Heritage Site by 1988, is bounded by walls and tow ers well preserved that stretched to a length of about 5 km. 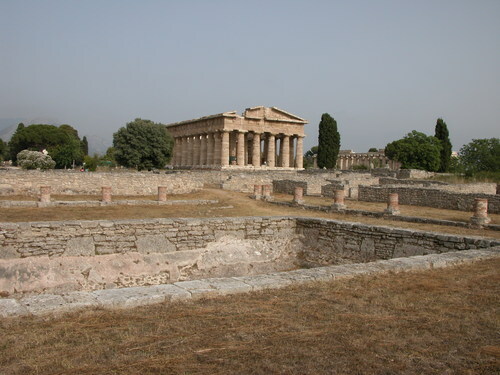 Within these walls is one of the richest archaeological parks in the world, dominated by three temples but rich in other important historical and artistic evidences. The dazzling beauty of the temples, combined with the complex beauty of the urban system of the ancient city and the wealth of archaeological finds, preserved in the National Museum, will touch the artistic sensibility of those who will decide to visit these places full of legend. 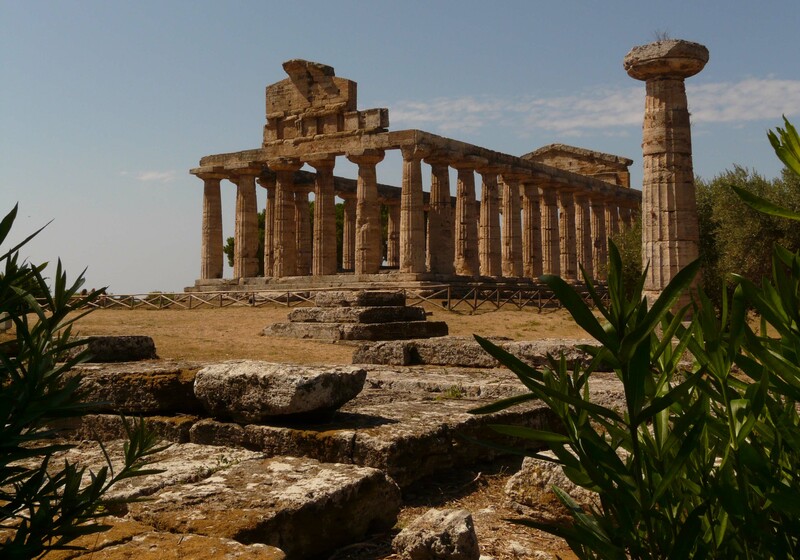 The guided tour includes the excavations and the National Museum, with special attention to the three doric temples and the collections of frescoed tombs inside the museum, among which the famous "Tomb of the Diver" stands out.